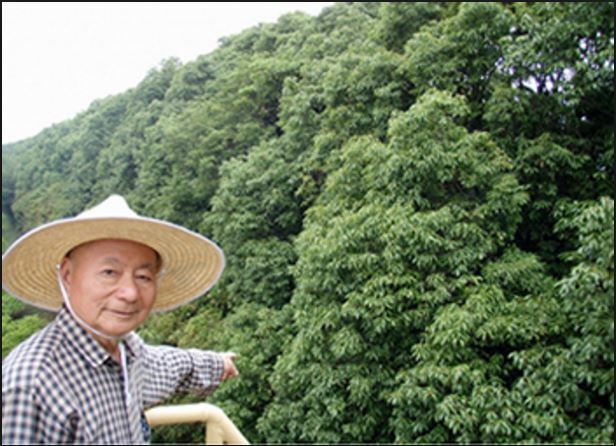 This 25-minute video describes an important proposal by Dr. Akira Miyawaki, a Japanese botanist who has been responsible for the planting of over 40 million trees at 1700 sites worldwide during his career. Dr. Miyawaki’s disaster prevention plan is to create authentic, self-sustaining tide embankment forests that will survive even stronger tsunamis and protect lives. Through interviews with Dr. Miyawaki and simple animations, the video demonstrates the problems with current man-made forests and shows how truly native trees are the best protection. The video also shows how many people have been moved to action through clips of dozens of volunteers planting seedlings, including the Venerable Hioki from Rinnoji Temple, who shares how he feels the principles of natural vegetation are in line with Buddhist teachings. Hioki Doryu, the 44th Abbot of the Rinnoji Soto Zen Temple, is the Association Chairman. Deeply moved by Dr. Miyawaki’s proposal to build protective forests from trees native to the area, he and local residents have planted over 33,000 trees from over 50 species around Rinnoji Temple, based on the principles of potential natural vegetation. Through Planting Tree Man shows, newspaper columns, and other media outlets, the Venerable Hioki is committed to teaching everyone, from children to adults, all across the world, about the importance of forests.